I wanted to share the story of Sally Wyse who spoke to me recently about her struggle and recovery from alcohol addiction. She is a living proof that not only is complete freedom from alcohol addiction possible, it actually does not need to be hard work either. And one can get to enjoy life and have peace of mind too, something that seemed impossible for Sally until a few years ago. Sally had always tried her best to fix her feelings of dis-ease and at a very young age, she learnt that alcohol fixed her feelings, albeit for a short while. She first got drunk with alcohol when she was only five years old. On that particular day, she was told by her mother for the very first time that she never wanted Sally and that she had tried to abort her. That was the start of her childhood anxiety issues. Sally started fixing her feelings with alcohol regularly from the age of 16, drinking seven nights a week. She has been in 8 treatment centres and sought help on numerous occasions for her addiction. She worked hard towards her recovery and yet kept having relapses after brief periods of sobriety. Nothing seemed to work and yet almost miraculously, after learning about the principles behind innate health and resilience, she has managed to transform her life. This was more than 2 & ½ years ago. She is no longer addicted to alcohol. Not only that, she had never felt happier and more content with life. In part 1 of the video interview, Sally shares how she got addicted to alcohol and the extent to which she became dependent on this highly addictive substance. She felt so much dis-ease that she had to drink alcohol to ease the feeling. As her alcohol dependence became more severe, her ability to function on a day to day basis got from bad to worse. She lost her job, had strained relationships and her physical and psychological health worsened. Despite her wanting to give up alcohol, wanting to be well and being compliant with her strict treatment regime, she simply couldn’t stay away from a drink for long. She managed to get sober from time to time when she attended AA (Alcoholic Anonymous) several days a week. However she knew there was a drink somewhere and she was aware of all the triggers that could potentially compel her to go and sought out a drink. 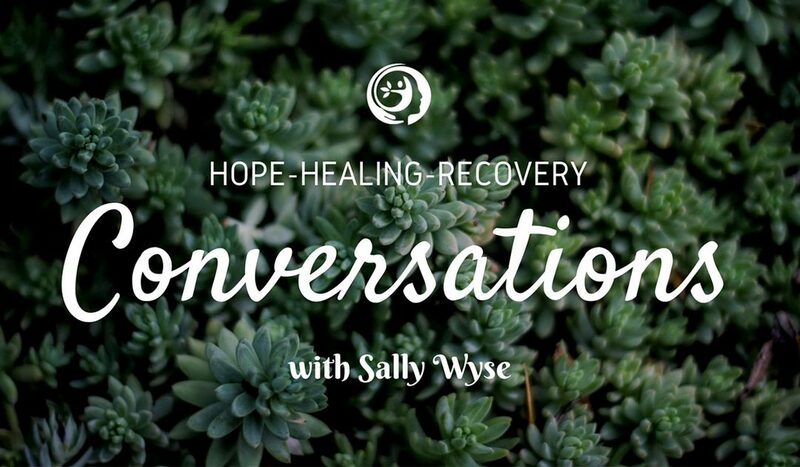 In part 2 of the video interview, Sally describes the turning point in her recovery journey. She was introduced to the principles behind innate health and resilience (aka Three Principles). She had a major insight when she was told that she was not broken and did not need fixing. Her initial response was to say that she was broken, that she was born an alcoholic and had the dis-ease of alcoholism. As she deepened her understanding of the principles, she came to realise that her addiction was her responsibility but that she had blamed others for her addiction all her life. She realized that the addiction came from her thinking that she needed to fix her feeling of dis-ease with alcohol. She has now trained to be a practitioner and is passionate about sharing this understanding with people who has addiction issues. She has been sober for 2&1/2 years. She is happier in her own skin, her life is more meaningful and she has a quiet mind, something she never had before. What if – just like Sally, someone who is addicted to a substance or any activity (e.g. gambling) is simply trying to fix his or her feeling of dis-ease with that particular substance or activity? What if – they too came across the principles of innate health and resilience and realized that they didn’t need to fix their feelings? What if – they understood the power of thought and how their feelings change when their thinking changes? I hope you are touched and inspired by Sally’s remarkable story of full recovery from chronic alcohol dependence. It is indeed possible for people to make a full recovery from any addiction, not just alcohol addiction. There may be people out there who have tried everything on offer but have not succeeded in getting over their addiction. They need to hear this. Please feel free to share this message of hope. Thanks for reading this blog and watching the videos.